Removing 86 percent of cash, at the time a key part of many real-estate transactions, dented sales and new launches of residential projects, which make up 80 percent of the market. India's property sector was already battling a slowdown last year, when Prime Minister Narendra Modi's crackdown on cash quashed any hope of an imminent revival. Removing 86 percent of cash, at the time a key part of many real-estate transactions, dented sales and new launches of residential projects, which make up 80 percent of the market. The government's clean-up measures have since continued, with new home-buyer protections rolled out in May and the nationwide sales tax or GST in July, both further constraining the industry as developers focused on compliance. Underlying all these changes is PM Modi's aim of hobbling the shadow economy and widening the tax net. That real-estate was hit hard isn't surprising when you consider the sector was last year estimated to account for a large share of illicit deals that use untaxed wealth stashed as cash. While Knight Frank LLP reckons India's housing market has been Asia's top performer over five years, prices have been mostly stagnant following demonetization. "Time and again, the back-to-back policy regulations reinforced a slowdown of sorts in an already sluggish market," said Shishir Baijal, chairman and managing director of Knight Frank India, a property consultant. "The next 12 to 18 months are likely to be the 'under observation' period for the real estate sector." 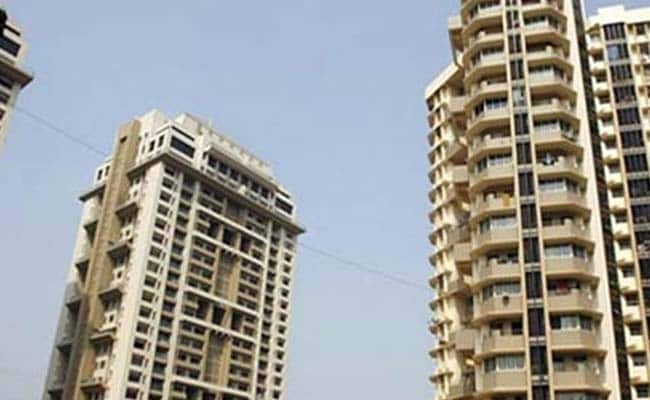 Project launches across India's top seven cities declined 60 percent in the quarter ended Sept. 30, from the final three months of 2016 when demonetization was announced, according to Anarock Property Consultant. Sales dropped 32 percent over the same period, it said. "We have effectively lost five months of business in this year because of these disruptions," said Surendra Hiranandani, chairman and managing director of Hiranandani Group, pointing to the new consumer law and sales levy as having a greater impact than the cash ban. Still, the new protections have armed home buyers against India's notoriously unreliable developers and the chronic delays that were endemic in the industry. The law's punitive measures are forcing developers to defer launches and instead focus on completing projects and offloading inventory. In the past year, home buyers' use of cash for property purchases has almost halved to 20 percent to 25 percent of the total price, according to Anshuman Mishra, co-founder and CEO of LoanAdda.com, an online aggregator of financial products and services. "It was shock therapy against the parallel economy," Jaxay Shah, president of the Confederation of Real Estate Developers Association, said in an interview. "But it has encouraged genuine home and office buyers, now giving them a level playing field." The high number of unsold units though indicates that a recovery is still some time away. In the National Capital Region, which includes Delhi, inventory stands at around 200,000 units, which would take 62 months to be absorbed; while for financial capital Mumbai it's at 180,000, or 52 months away from being cleared, according to a report from Anarock. Inventory fell 6 percent in the quarter ended September from last year, according to the report. "This indicates that developers are more focused on selling off their existing inventory rather than going on a new launches spree," said Anarock Chairman Anuj Puri. Property prices across India's biggest cities have fallen or largely stagnated as sales dropped. Residential re-sale prices slid 20 percent to 25 percent after the cash ban, while new home prices weakened by 7 percent to 17 percent, Puri said. The combination of fewer launches and lower unsold stock should push up prices next year, said Shah, from the Confederation of Real Estate Developers Association. Ritika Mankar Mukherjee, a research analyst from Ambit Capital, isn't so sure. She's looking at the government's efforts to force about 50 heavily indebted companies -- including developers like Jaypee Infratech Ltd. -- toward insolvency. If successful, these companies may sell some of their property assets to pay down debt. "We expect land prices to fall from February 2018," Mukherjee wrote in a Nov. 1 report. "As land prices fall, it is but natural that real estate developers launch cheaper properties through 2019 and 2020."